The blame game: Abuse on the field is taking its toll on referees, and it’s time it stops. Unless you have been living under a rock, you would have heard of the refereeing “crisis” that has the Canberra football scene reeling. There are reports that referees have suffered physical violence, received death threats, and have had sexist remarks hurled their way during and after football matches across Canberra. All of this came to light after Capital Football chief Phil Brown told ABC Grandstand that over the last two years, 45 per cent of referees aged between 18 and 30 had walked away from the sport. “It is a real challenge and problem for us. One of the big problems that we face is the environment they encounter at games,” Brown said. Some of the reports of violence and abuse that referees are encountering across Canberra is jaw-dropping and deeply concerning – it is also evident to everyone involved that something needs to change. To be honest, this article is being written by someone who, only a couple of seasons ago, was shown a red card for telling a referee to “F off”, which is something that I am not proud of. But it might show how deep the issue runs into our sporting culture. 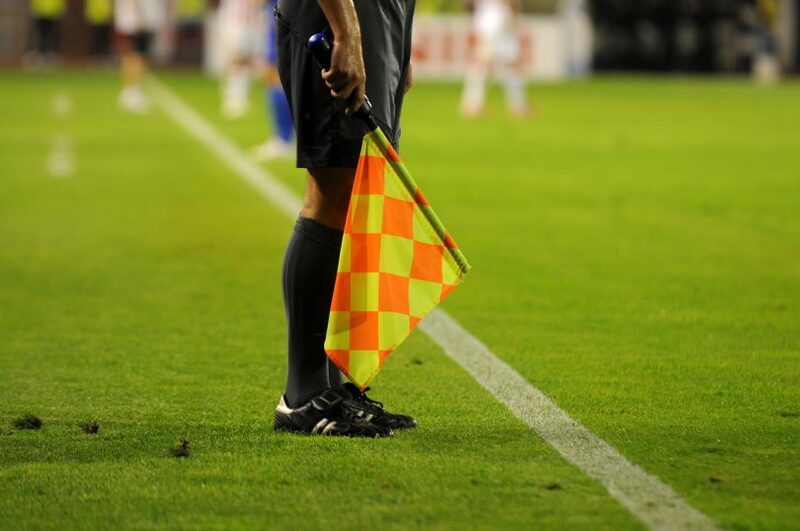 I know first hand that it is easy to have a little white line fever and to be desperate for a decision to go your way, but as coaches and players, we have to control ourselves and let the referees do their job to the best of their ability. When Belconnen United coach Antoni Jagarinec faced media on Tuesday morning, he spoke about the state of abuse against referees and was convinced the current culture was unacceptable. “We are all passionate and we all want things to go our way,” Jagarinec said. “There is a big emphasis on not abusing referees and showing them respect and I am 100 per cent for that. “When a ball goes out and everyone wants it to be their ball, the referee is going to make 50 per cent of the people unhappy every time. And that is the key to the whole culture change that is desperately needed in the Canberra footballing scene – education. It comes down to individual clubs, teams and players pulling each other aside and letting each other know that it is not the end of the world when the throw-in decision goes against them, that it is all going to be OK when a referee waves away a penalty appeal. Referees aren’t in the middle of the pitch to cause trouble. They are just trying to do a difficult job to the best of their ability. As Canberra United Academy coach Ryan Grogan said earlier this week, it is about educating everyone from the grassroots up. It’s time to change the culture, one game at a time. What are your thoughts on this issue? Do you think education is the key to changing the culture of abuse in Football? Comment below. Suspension. It's not acceptable behaviour. If you can't respect the referees, you shouldn't be playing the game until you can cool off and get your emotions under control. No..education is NOT the answer. Every time we encounter a social ill education is thrown up as the panacea. Everyone knows what the problem is. Suggesting education is needed is creating an excuse for bad behaviour. My letter to Mr. Brown in July 2016 after watching outrageous and menacing behaviour towards a referee in a Capital League NPL First Grade game was met with a plea for the status quo. The gist of my letter was that Capital Football should have a no dissent policy with sin binning or exclusion as the punishments. At the same time I questioned the refereeing fashion of the day of explaining every decision to all and sundry after every whistle. The inference is that if you explain every decision then you will get a smoother game and a better relationship with the players. Patently that doesn’t work. Players and coaches aren’t stupid. By the time they are 15 or 16 they know all the rules and will play them to the limit. Every time they demand to know “What was that for?” they are in fact undermining the authority of the referee by openly questioning his/her judgement. Often, at the same time there is an air of intimidation in the hope that they might influence further decisions. There is no need for a referee to communicate verbally with players at all. They have the whistle, hand signals and cards to do the talking for them. Okay they can identify the culprit and early on in a game may give warnings to avoid using cards…which I don’t like as a foul is a foul and all the ref is doing is creating a grey area and is open to accusations of inconsistency. The referee should be a silent neutral officiator not a rule negotiator. It starts with the coaches. They set the tone for their teams, the players and their supporters. Make the abusers do the referee course and become a ref or be banned from the game. That wouldn’t teach people respect. People have licences but they still abuse people on the road! Hi Lara, my 14 year old also refs and has had a good season. He only refs at our home ground and the club is very proactive about players and spectators behaviour towards refs. Every club should work harder on supporting refs... no ref, no game. Abuse the ref and get a yellow card. Do it again and get a red. Hurt the referee and get suspended for the rest of the season, deduct points from the club and fine them. Keep doing it and the point deduction and fines increase. It’ll take a while, but if done consistently then the players and clubs will eventually get the message. The referees in the local comps. (when they actually turn up) are all paid. The teams supply unpaid linesmen who from my experience are impartial. They hand out yellow and red cards when players abuse them and there are some serial abusers in some teams who should be banned. If a referee is inconsistent in his/her reason for handing out a yellow/red card he/she can expect to be called out by spectators. This is not abuse. Most games have no spectators anyhow. I thought this was about the public abusing the officials, players misconduct is answerable to the games board, not to the lines people or the umpire's and certainly not the spectators at the game. abusing a referee doesn't make you "passionate".